The TacProGear BLACK Marine Plate Carrier (MPC) has recently achieved the “Member Tested and Recommended” stamp of approval from the National Tactical Officer’s Association (NTOA). 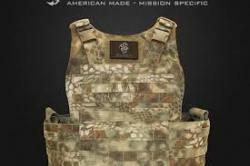 TacProGear (TPG) is a well known manufacturer of tactical equipment, including apparel, armor, bags, packs, pouches, footwear and accessories. TPG claims the BLACK line of products rely completely on new concepts and designs from end user feedback. The Tac Pro Gear MPC in Kryptek Mandrake camouflage pattern. The TPG MPC is a modular ballistic armor plate carrier designed to afford the user maximum protection while maintaining minimum weight. 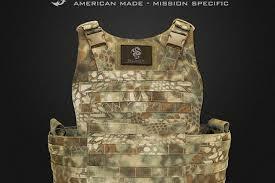 The MPC consists of a base vest panel for the torso with optional ballistic plate inserts. There are left and right interchangeable cummerbunds, with optional ballistic plate inserts for the cummerbunds as well. There is also an elastic belly-band and an ambidextrous quick-release cable. The TPG BLACK MPC is available in Coyote, Multi-Cam, Kryptek Mandrake, and Black. Made in TPG’s new state-of-the-art Miami, Florida manufacturing site. We’re working with TacProGear to obtain an MSRP for the BLACK MPC. The NTOA is the leading organization representing tactical police officers in the United States and Canada. In addition to providing incredible training in a wide area of tactical operations, the NTOA has developed model policies and recommendations for national standards on tactical teams, training and operations. Members have access to a vast library of resource materials, training guides, a broad network of current and former professional experts, and the “Member Tested and Recommended” program. The testing ranges from 0-5 with 5 being the best score. NTOA does not “endorse” products, but will allow the highly coveted “Member Tested and Recommended” seal to be used for marketing if the product receives a minimum average of 3.0 score from the evaluators. The TPG MPC received an average 4.06 score.